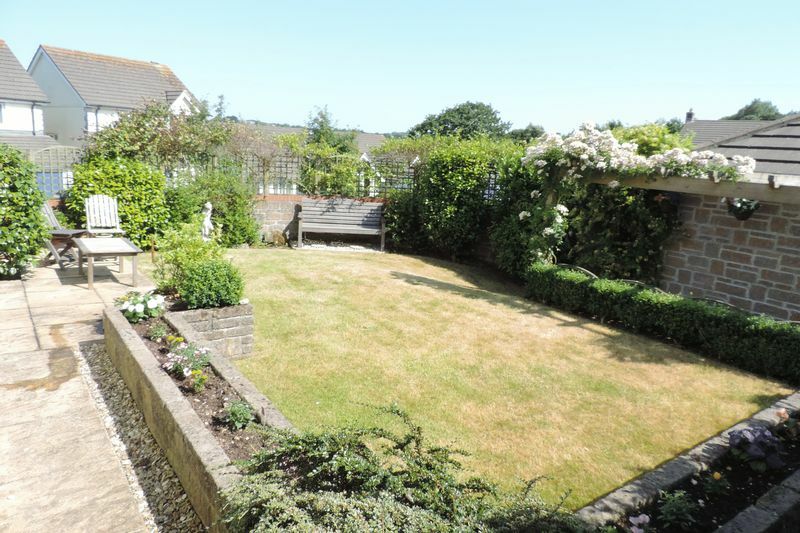 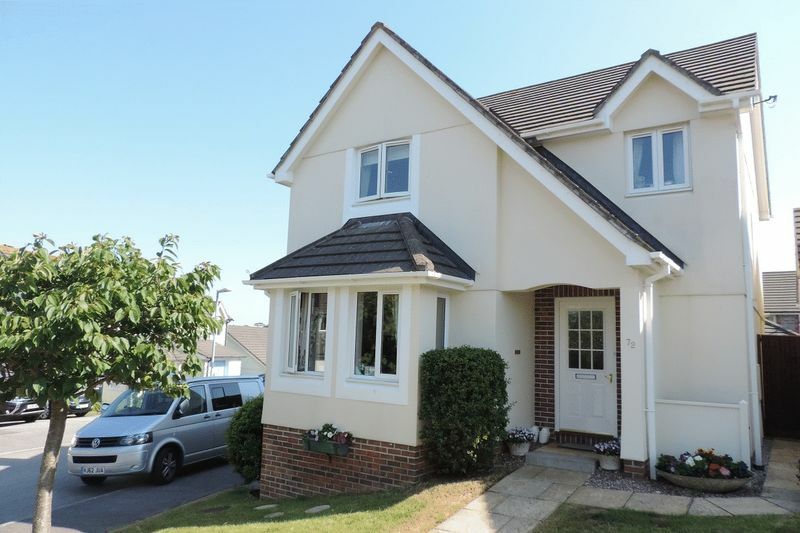 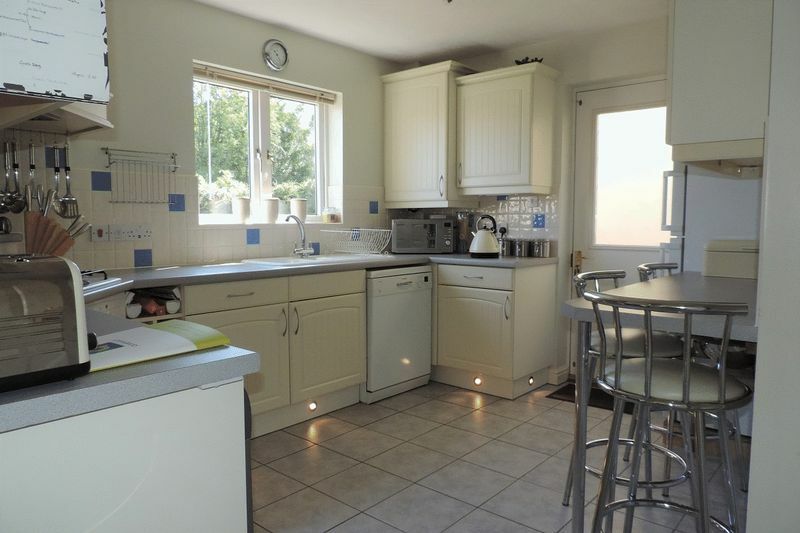 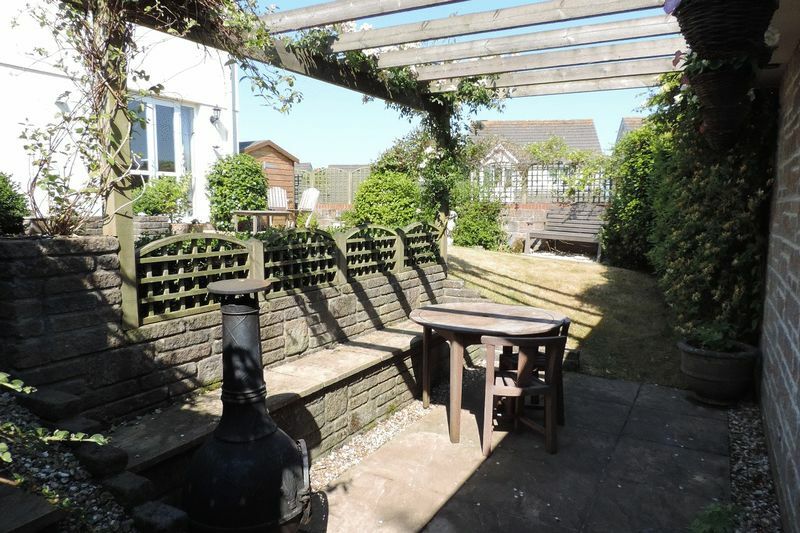 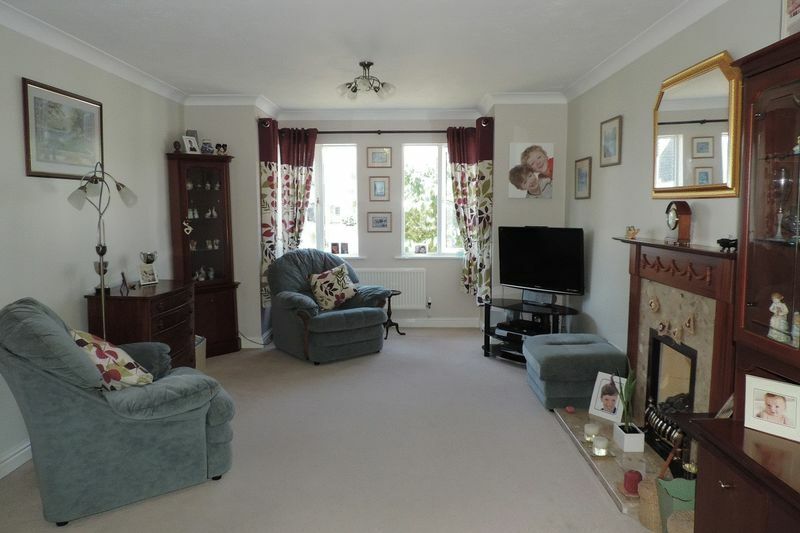 A spacious family home with four bedrooms, large garden, garage and driveway. 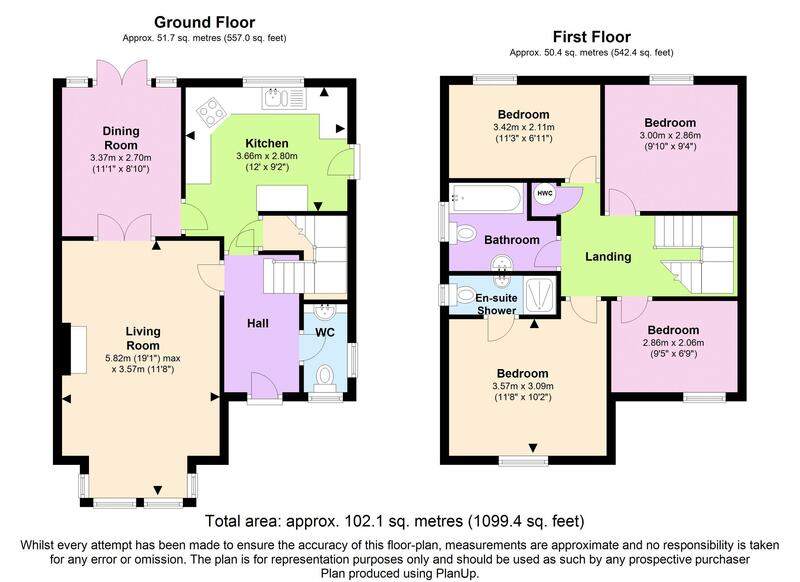 Contemporary open plan kitchen/breakfast room, living room, dining room, master bedroom with modern en-suite shower room. A beautiful home in a convenient location. 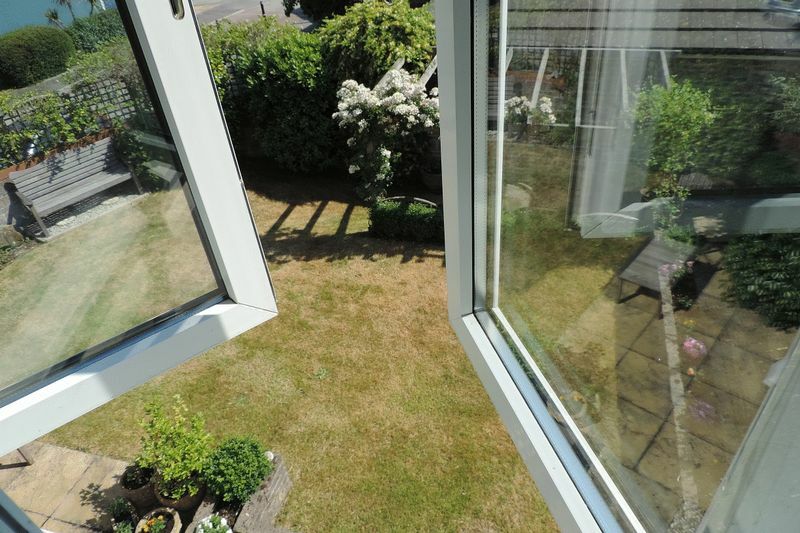 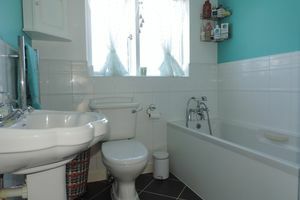 This is an impressive four bedroom family home that has been even further improved. The living room has the addition an attractive feature fireplace and double doors open through to the dining room making for a fantastic space ideal for sociable living. 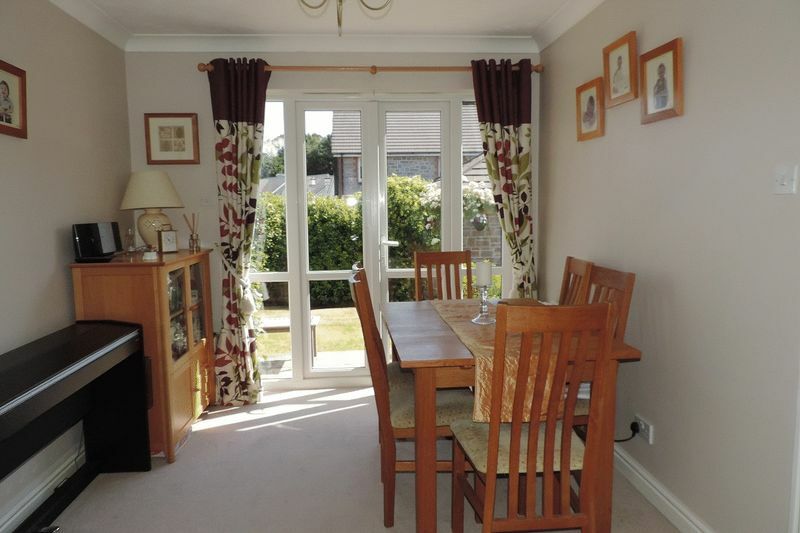 and French doors from the dining room open to the garden. The kitchen has been fitted with a range of contemporary units and there is a handy breakfast bar. 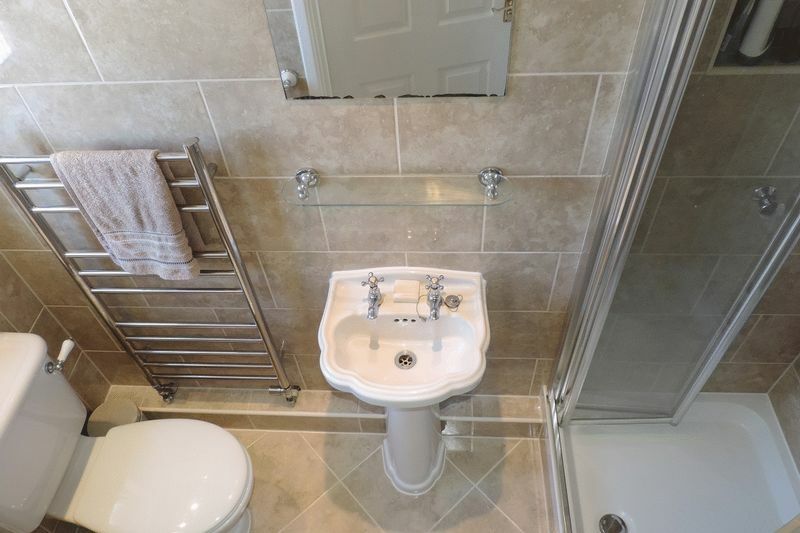 A cloakroom/WC completes the ground floor accommodation along with a good sized hallway. 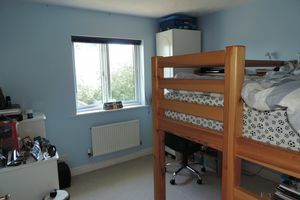 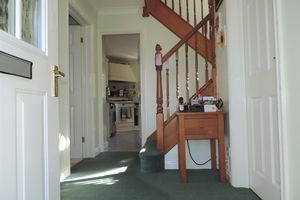 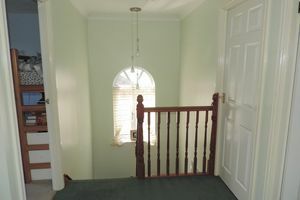 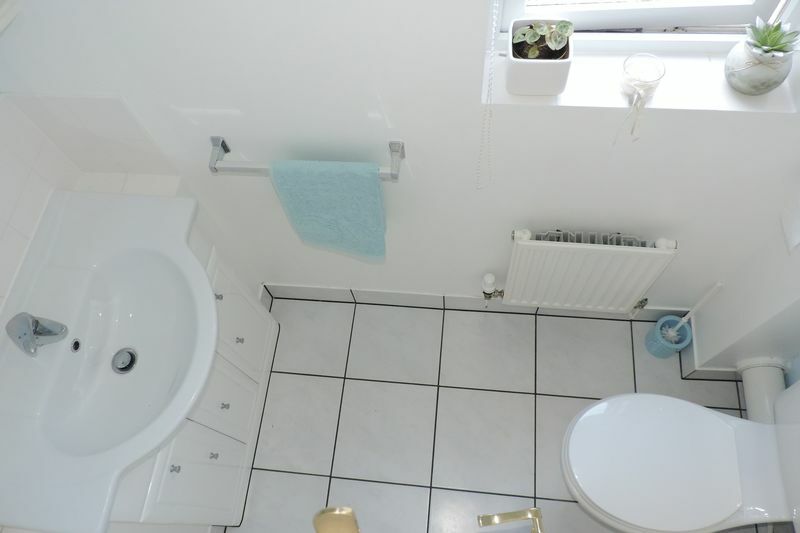 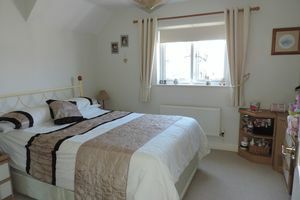 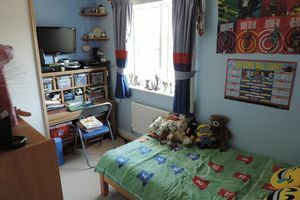 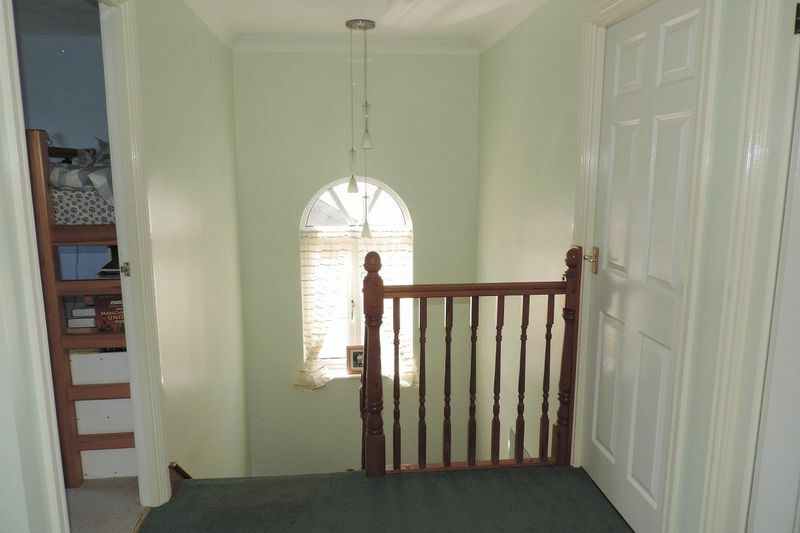 Heading upstairs, there are four bedrooms, the master has an en-suite shower room and there is also a family bathroom. The garden has been carefully landscaped and makes great use of the space with a various sitting out areas and sun terraces. There is plenty of parking on the driveway and a garage. Tinney Drive is located to the east of the city on the Beechwood Park development. Highly sought after due to its proximity to the highly regarded Penair School. 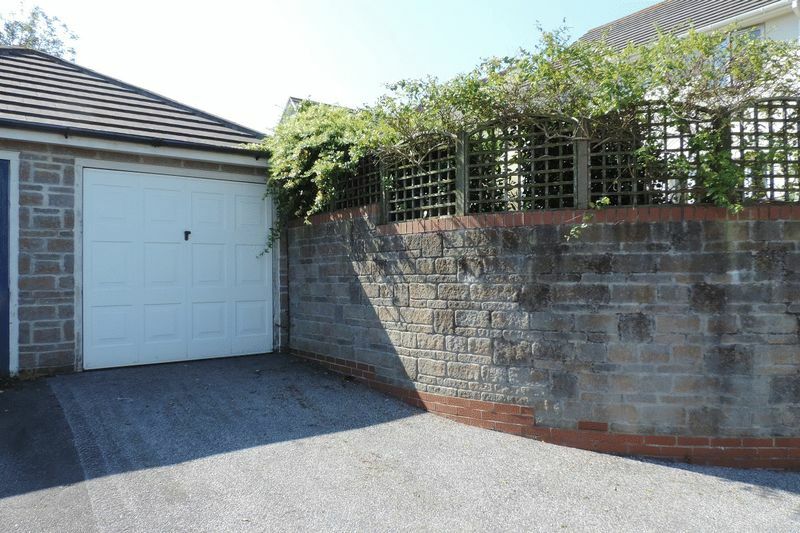 Rural walks can be found close by and with easy access to the city it is an extremely convenient and pleasant place to live. 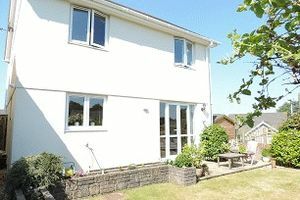 Truro has a range of facilities and superb shops with large multi nationals as well as independent stores. 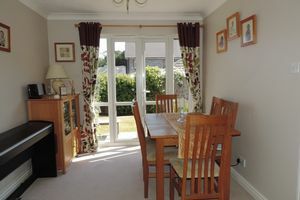 There is plenty going on with the Hall For Cornwall, Plaza Cinema and a great range of restaurants, cafes and bars. 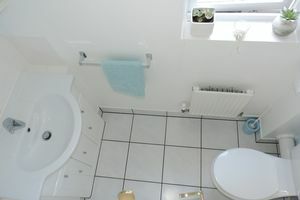 The mainline train station has a regular service to London and the north and access to the A30 trunk road is close by.